Almost one-third of all food produced is disposed of, according to United Nations statistics. This equates to 1.3 billion tonnes of edible food going to waste every year around the world. Food waste occurs at many stages along the product life cycle, a large portion of which occurs before the food even hits the shelves. Researchers have found that just under half of all food waste takes place during the manufacturing, distribution and retail phases of the foods’ life cycles. One-third occurs before the food has even left the farm. One-fifth of food waste comes from people’s plates and refrigerators – food is thrown away when there is an excess or the expiry dates have passed. Most of our food is, therefore, discarded before it is even purchased. This represents a significant amount of edible goods that could be used to feed people, but also a loss of resources such as water, soil nutrients, transportation energy and labour effort. The manufacturing process is responsible for a lot of food waste due to technical inefficiencies. Most of our food is produced in factories on assembly lines. When one machine breaks down, the factory does not temporarily halt production to fix the machine. Instead, the rest of the equipment continues to operate and the food is redirected to waste. It is cheaper for the food factory to lose this food as wastage than it is to halt the entire production while a machine is repaired. There are also inaccuracies that creep in when machines are started up once again – volumes are calibrated to full-speed production, so while the machines get up to speed, the volumes of food per container or package might be less than needed. In factories that produce a certain type of food product, introducing a new product to the mix can result in food waste. For example, factories that produce food that contains allergens, such as nuts, must ensure that there are no nuts in the new product. The production line for the new product will be run for a while before it starts to get packaged for sale, as the new product needs to be completely free of nuts. The quantity of the new product produced in the initial phase may contain traces of nuts and will be sent for disposal. New products also require factory equipment to be recalibrated for new volumes and ingredients. It may take several production runs before the taste and quality of the product matches the small-scale test kitchen food. Volume, packaging and printing discrepancies may also lead to food being discarded. The food that does not make it to the shelves is not always a total loss. Many factories and food manufacturers have policies in place to ensure that their discarded products are still put to good use. Organic foods such as fruits and vegetables are used for a variety of purposes if they are discarded. Some can be used to create animal feed, others are used to produce secondary products. The over-ripe or unusable organic food is turned into compost for the agricultural sector. Some factories send their surplus food waste to NGOs. The food is still edible, but it may not meet the exact description on packaging, so it is still used to feed people in need. Industry standards and regulations are changing to ensure that food waste is put to good use. Citizens have also started to find ways of minimising food waste. JustNow, a local app that deals with expired goods in supermarkets, is one example of a civilian-led project to redistribute edible foods in South Africa. 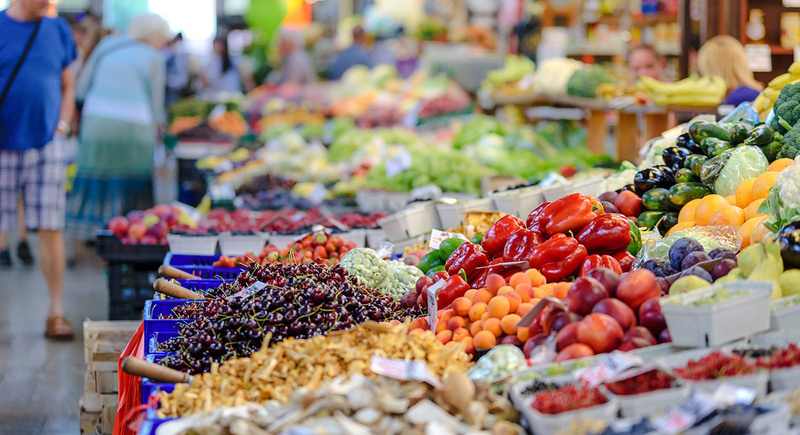 Consumers, retailers and manufacturers all have a role to play in minimising food waste and redistributing surplus food.